Audiobooks are great because they require little-to-no effort on your behalf. When driving in traffic, why not listen to George R.R. Martin's lengthy A Feast for Crows instead of repetitive, commercial-laden radio? Maybe it harks back to prepubescent bedtime readings, but having things read to me is a very satisfying experience. If you find the stock VoiceOver feature to be a pain, there's a new way to have your books read to you, and it goes beyond that to read aloud saved web articles, content from read-it-later apps, and content in cloud storage. 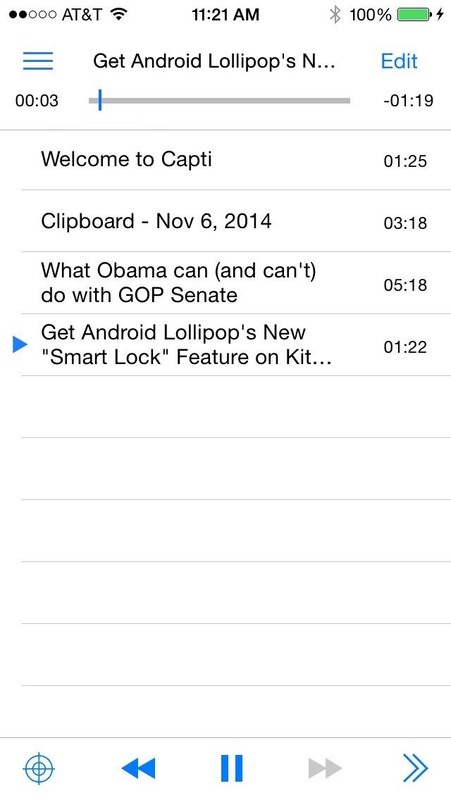 Capti was created to turn your digital content into one easily digestible playlist that you can listen to. Again, this playlist can consist of web content, Google Drive and Dropbox documents, as well saved items from a few different read-it-later apps. 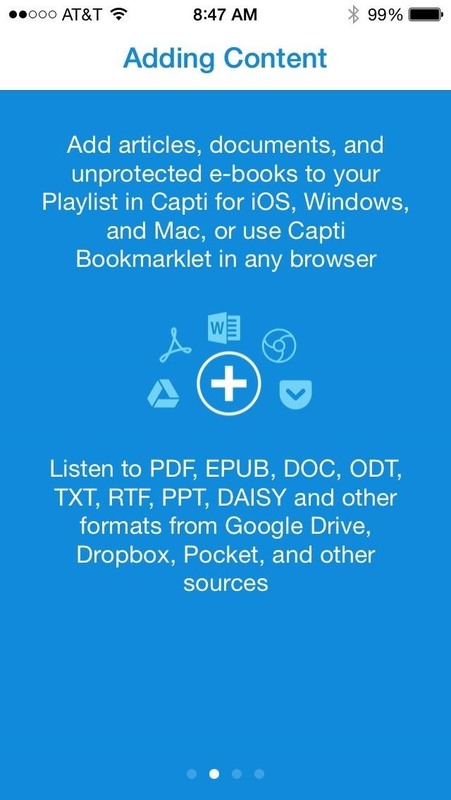 As Capti says on its app page, "Whether you are a student, a language learner, a commuter, a busy professional, a retiree, or a person with print disabilities, Capti will improve your productivity and make your reading more enjoyable." 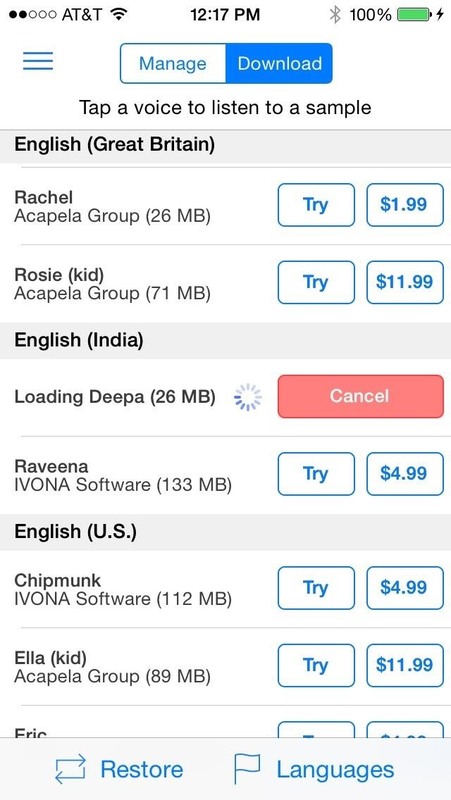 Capti Narrator was previously $19.99, but is now available for free, so make sure to grab it from the iOS App Store on your iPad, iPhone, or iPod touch. 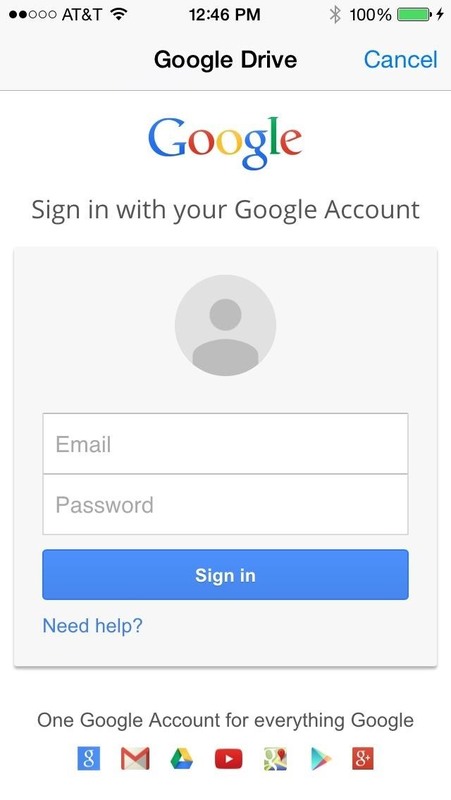 After installing, you can sign up with your email and password, but this isn't a needed step at the moment and can be done later on. Registration is free and optional, but with an account, you can sync your Playlist across multiple devices and gain access to free trials of various voice engines. 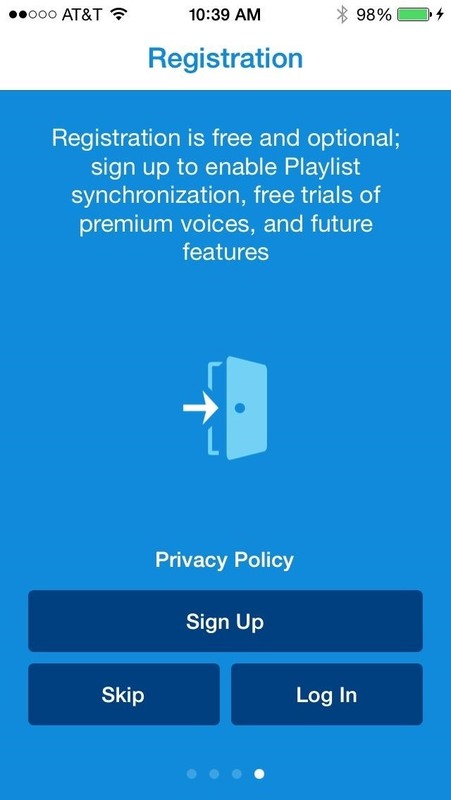 After you have signed up or skipped, you will be taken to the app's main page where there'll be a welcome audio recording for you to listen to, or you can just dive right in. Click on the menu icon in the top-left corner to reveal the side menu. 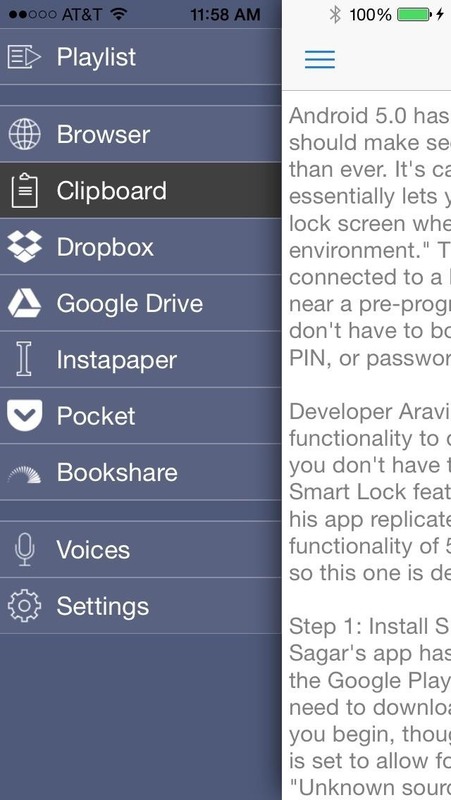 Here, you'll see a list of multiple ways to bring in content, as well as apps that can sync with Capti, like Instapaper, Bookshare, and Pocket. For starters, we are going to use the Browser function. Enter in your favorite site and select an item you want Capti to read for you, then press the + button at the bottom of the screen to add it to your playlist. Once an item is in your playlist, you can access and listen to it there at anytime. Just select the article in question and Capti will begin reading it for you. You can pause using the controls along the bottom, and also increase the reading speed by selecting the double-right arrows (>>). The back and forward buttons will move between items in the playlist, while the crosshair button will highlight the article that's being read. 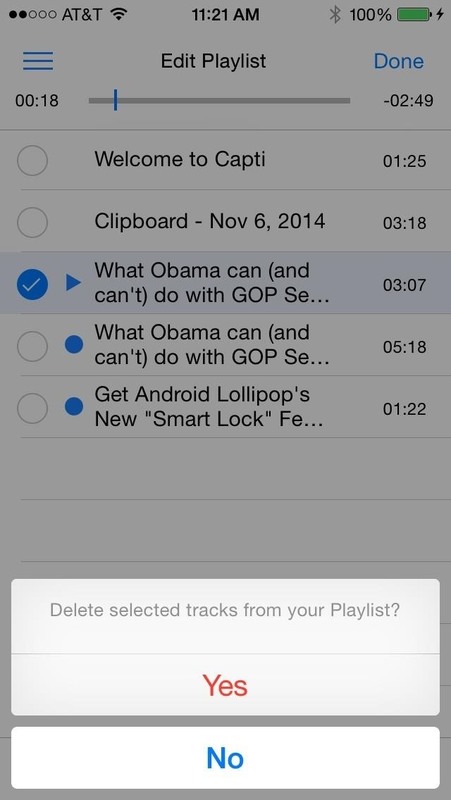 To remove an item from the playlist, tap on "Edit" in the top right. 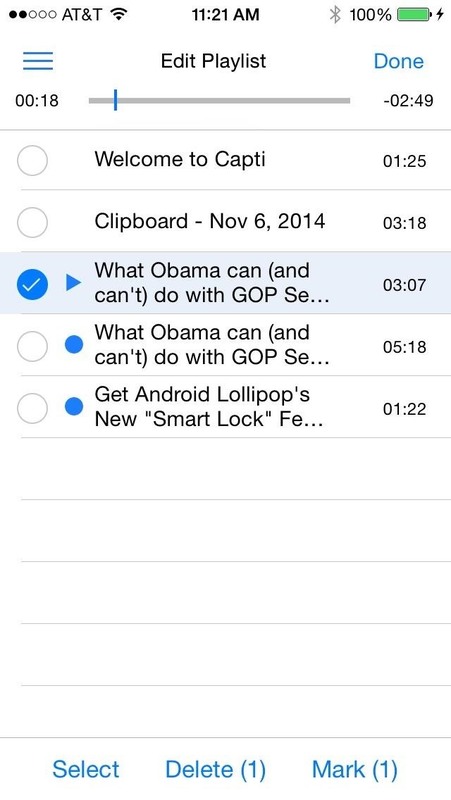 Select the items to be deleted and tap "Delete," or mark items as "Read" or "Unread." Items with a blue dot next to the title means that they have not been read yet. As I said before, you can add documents from services like Google Drive and Dropbox to your Capti playlist, and you'll need to sign in to each service to do so. 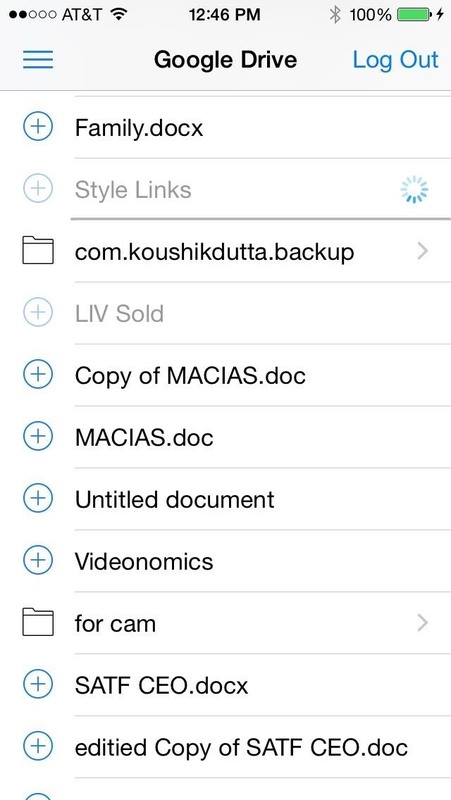 After logging in, you will see a list of documents that can be added. 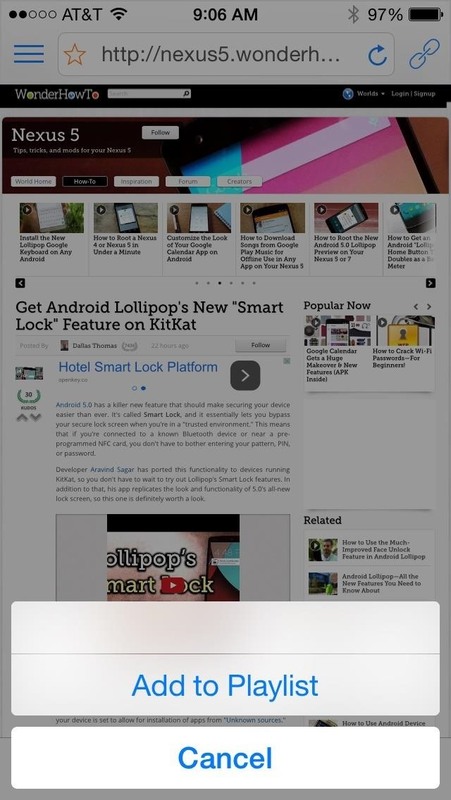 Tap the + icon and the item will begin downloading. Once a download is finished, the blue + icon will fade and the added items will be available for listening in your playlist. 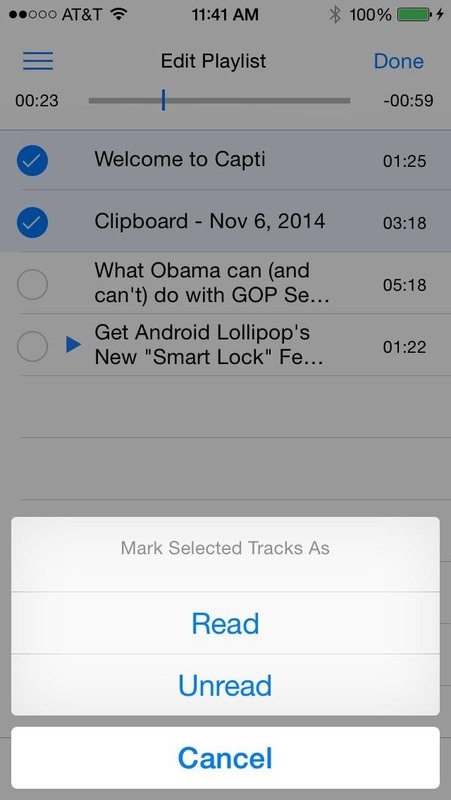 If you utilize read-it-later services like Pocket, Instapaper, and Bookshare, all of your saved content can be accessed directly through Capti. 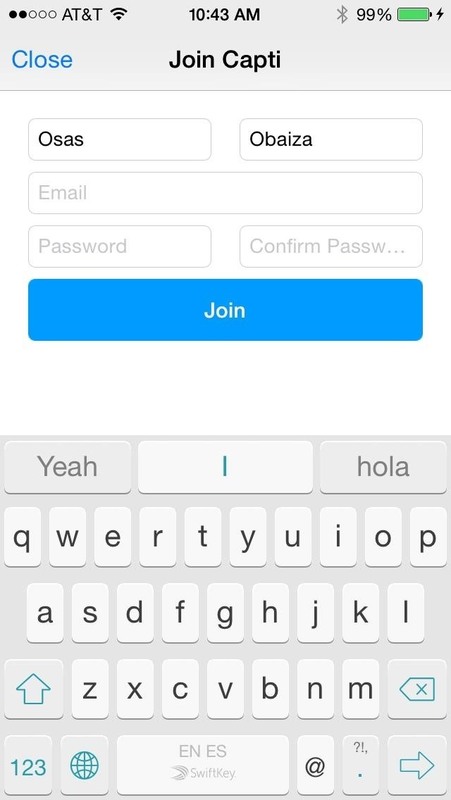 Just log in with your account's credentials and your content will sync right up. For articles that may be too large or have page breaks that Capti does not recognize, you can copy the text over to the Clipboard. 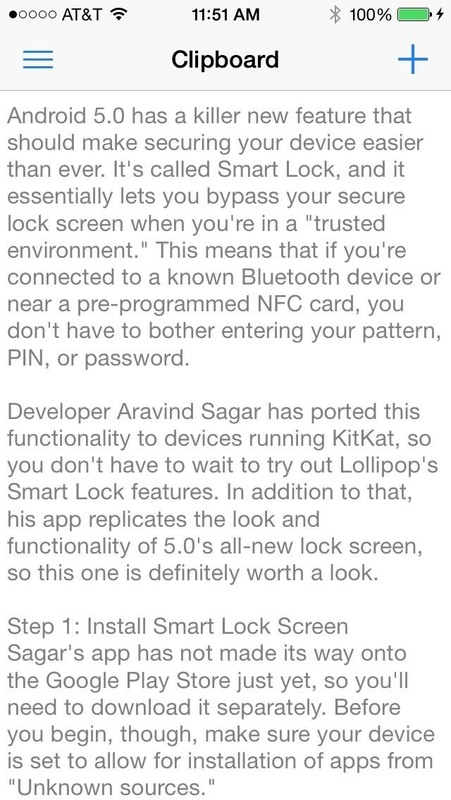 The Gadget Hacks article, "Get Android Lollipop's New Smart Lock Feature on KitKat," has a bunch of cool galleries and breaks that causes Capti to skip some sections. 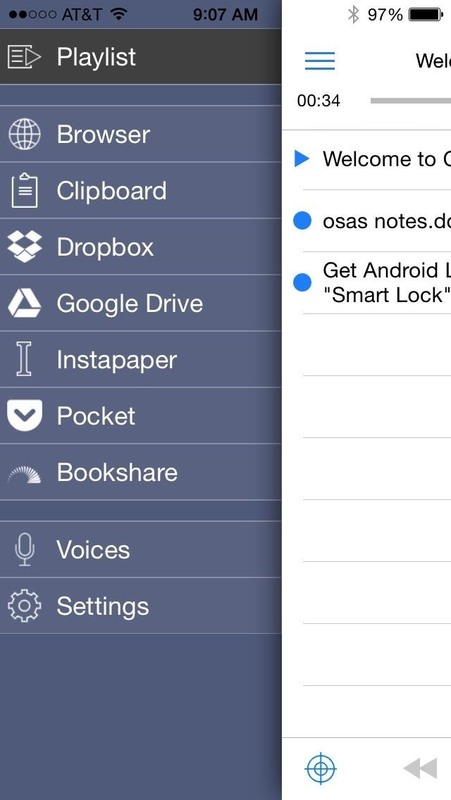 Simply use the copy feature (tap and hold) to select all of the sections you want to add to the Clipboard. 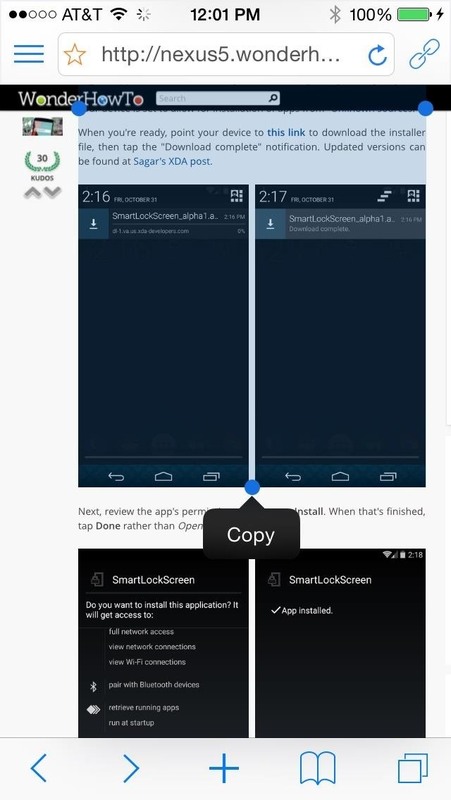 Tap "Copy" and your text will automatically be imported into the Clipboard, after which you can use the side menu to access your Clipboard, then tap the + icon to add it to your playlist. You can change the default voice by going to the "Voices" option in the side menu. 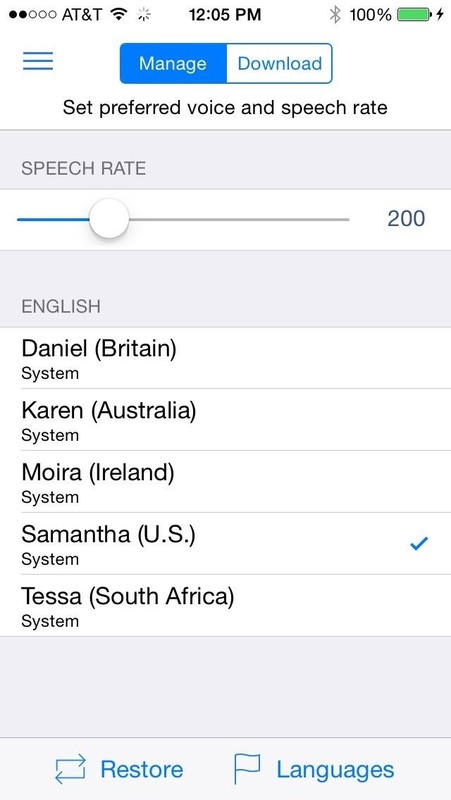 In the "Manage" tab, you can adjust the speech rate and set your preferred voice. 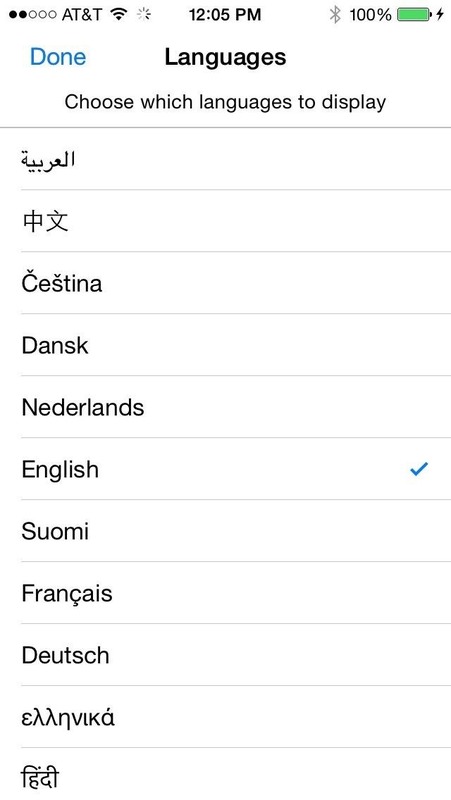 Depending on your current language, you will see a few default voice options. 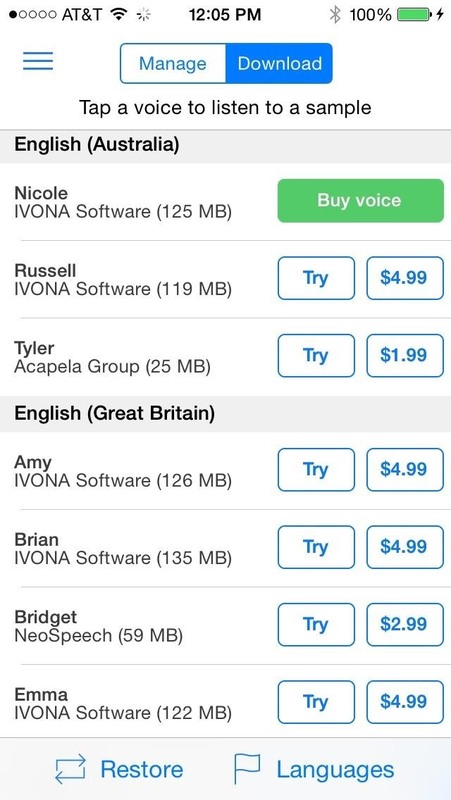 Capti offers even more "better sounding" voices as in-app purchases of varying prices. If you registered, you will be able to try these voices for a limited time. 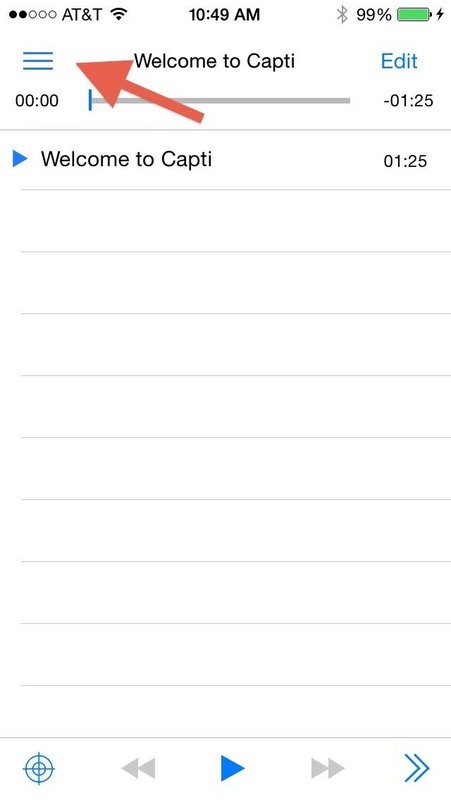 Just tap "Try for Free" and download the item—Capti does need to remain open for the download to process. 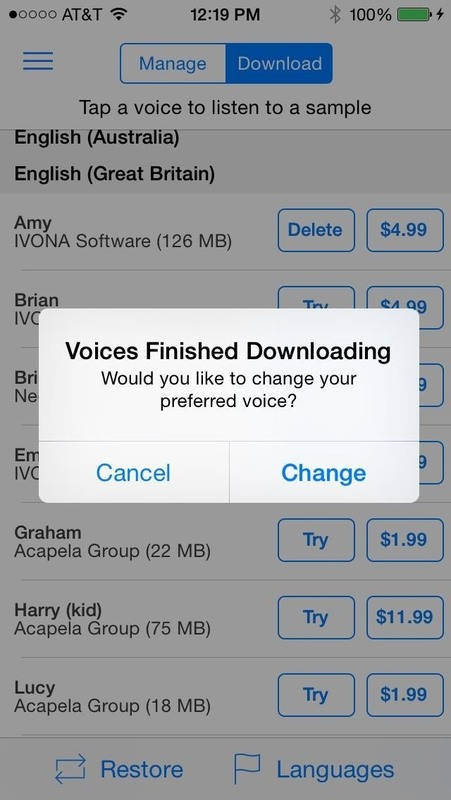 Once downloaded, you can change the voice immediately or switch it over in the "Manage" tab. 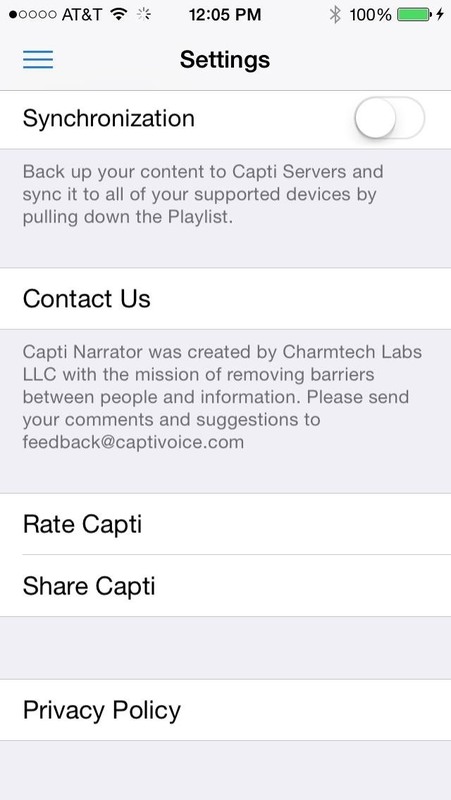 You can also back up your content and playlist to Capti's servers by enabling sync in the "Settings" menu. 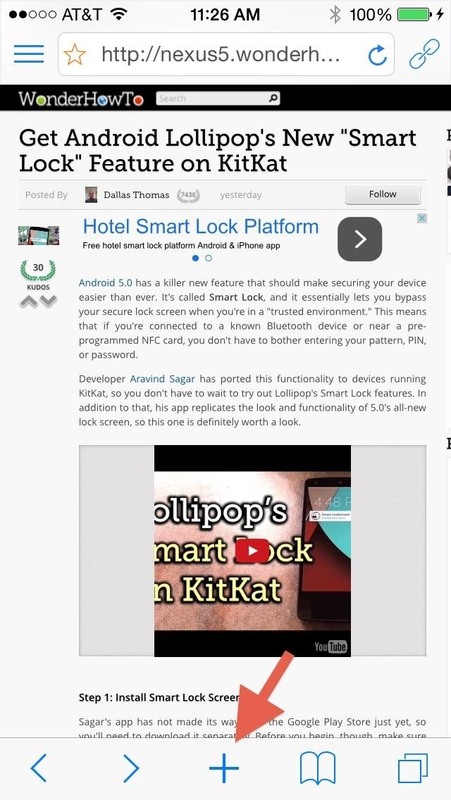 Toggle it on (it will turn green) and now your content will sync across all devices linked to your Capti account. To get a really seamless experience across devices, Capti provides a Firefox add-on. If sync is enabled, you will be able to listen to your items via the Firefox browser, and you can quickly add items to your playlist. If you don't use Firefox, there's a bookmarklet available for other browsers, but it only supports adding content to your playlist, not listening. And that's all there is to it. 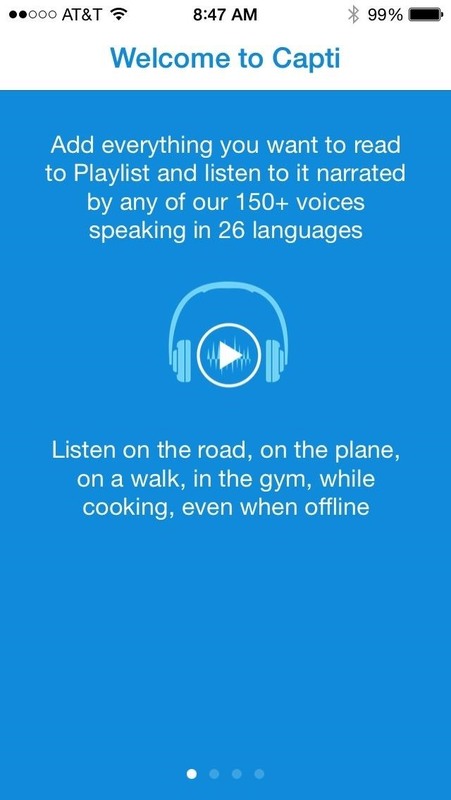 Once you get the hang of it, the process for adding and listening to content across devices is pretty simple. 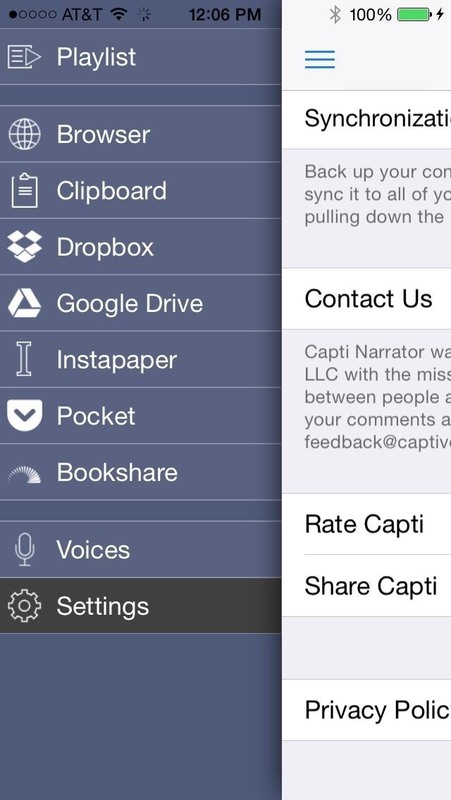 Have you tried Capti Narrator out? Let us know what you think of it below!